Pam on the job – Pamela Wood. This is me at the Chesapeake Executive Council, which is an annual meeting of Chesapeake-region governors, the head of the EPA and a state lawmakers’ group. They set the tone for the Chesapeake Bay restoration effort, so I always cover it. Here I am in the hot Richmond heat, balancing notebook and camera, trying to get a shot of Maryland Gov. Martin O’Malley (a Democrat) and Virginia Gov. 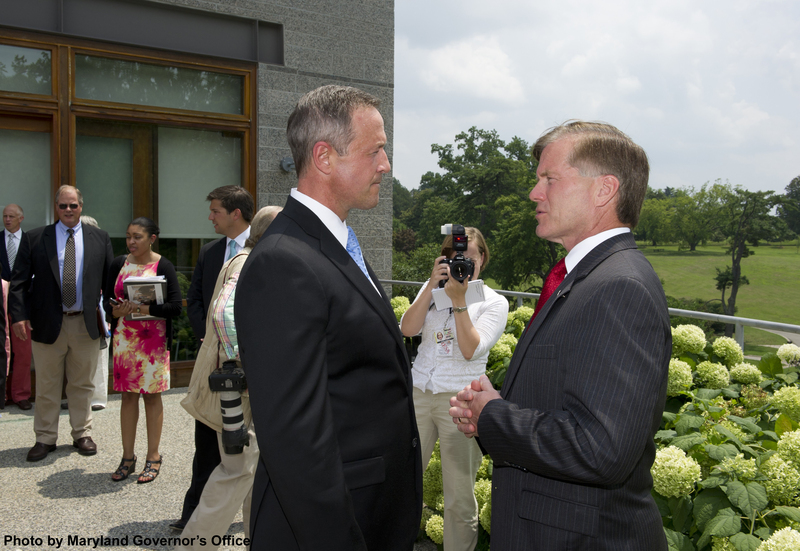 Bob McDonnell (a Republican) … and I am also apparently ruining the shot of O’Malley’s photographer! Sorry! Photo by the Maryland Governor's Office. and I am also apparently ruining the shot of O’Malley’s photographer! As undoubtedly he is yours! Haha, yes. I just looked back at my film, and I had shots with three different people with cameras in the background.